“Welcome to the Pelaran Alliance …” With those simple words, the Guardian spacecraft openly revealed itself to Humanity, heralding a new chapter in its 500-year-long mission to cultivate our world. Earth’s population must now make its first, planet-wide decision — join the most powerful alliance in our galaxy, or chart our own course — deciding for ourselves which civilizations are worthy of our trust. Will we be the first world to decline the Pelarans’ invitation, or does their offer come with an implied threat? 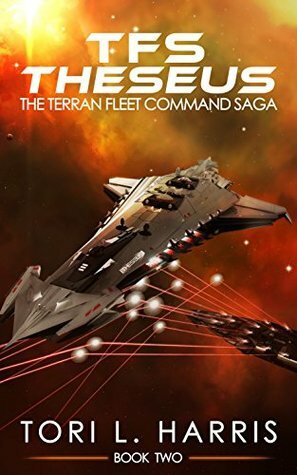 Aboard Terran Fleet Command’s flagship, TFS Navajo, Admiral Kevin Patterson assembles his formidable but untested forces in hopes of defending the Earth. Knowing that an attack is imminent, he must risk everything in hopes of finding his enemy and taking the initiative. Returning from TFC’s first battle, Captain Tom Prescott learns that his frigate, TFS Ingenuity, is more heavily damaged than expected. Now he must race against time to prepare a new ship, then execute a daring mission to save Earth’s last and best hope of avoiding full-scale interstellar war. Nova (Grade: F) It's more of a continuation of the previous book in terms of it's writing style. I had hoped it would have focused less on filling the pages with endless description and more on advancing the plot. I feel as if we could have fit everything that has happened so far into half of the first book.